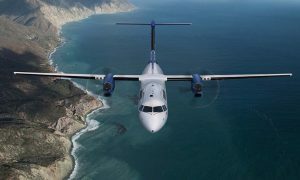 Bombardier Commercial Aircraft announced today that the National Civil Aviation Agency of Brazil, locally known as ANAC, has awarded type certification approval to Bombardier’s 86-seat Q400 aircraft for operation in the region. The Type Certificate, signifying the local airworthiness of the largest commercial turboprop in-service worldwide, was presented to Bombardier in a ceremony held at ANAC’s offices in São José dos Campos, Brazil. Bombardier Commercial Aircraft has a Regional Sales and Marketing Office (RSMO) and parts services depot in São Paulo, supported by a dedicated team of local and international experts. The Latin American sales, marketing and customer services team will be strengthened further as the central office is staffed to fully support the region. 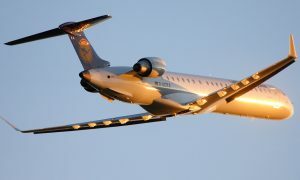 Bombardier’s current 20-year commercial aviation market forecast projects deliveries of 1,150 units in the 60- to 150-seat category to Latin America and the Caribbean (including Mexico) through 2034. 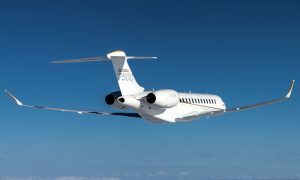 Of these units, 450 units are expected to be in the Q Series 60- to 100-seat segment, while most of the remainder will be in the 100- to 150-seat segment – the segment for which Bombardier’s new advanced-technology C Series single-aisle aircraft is designed.